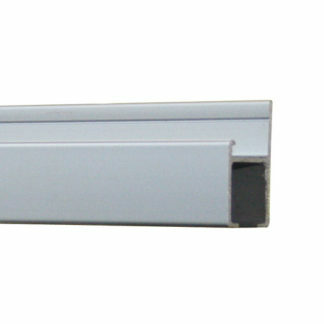 Anodised (silver) Standard Track in 3m length. It can easily be cut to size with a hacksaw. The “V” groove in the top section makes it easy to drill and screw to the wall. Dont forget to order Standard System Hangers and Hooks. Please feel free to contact us if you would like help working out your requirements. 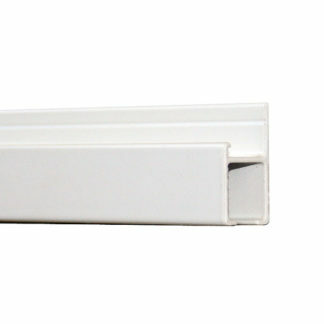 SKU: GTRACK3 Category: Standard Gallery System. A heavy duty system with lighting capability.